IT’S good news if you’re selling, but less so if you’re buying a secondhand van for your business. 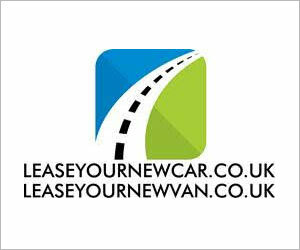 Used van values are at al all-time high, according to CAP Automotive, the independent vehicle information specialists. According to CAP, rocketing used van values have added almost 50% to the trade price of a typical three-year-old van since 2010. The boom in values was sparked by the collapse in new van sales when Britain dipped into recession. But, if you are about to sell, act fast – the surge in values is likely to falter by the end of the year, say CAP’s commercial vehicle experts. Since September 2010, CAP Red Book’s independent benchmark value for a three-year-old short-wheelbase Ford Transit with 60,000 miles on the clock has soared from £4800 to £7100 – an increase of 48%. But Cattlin believes the resurgence in new van registrations in 2011 signals an impending end to the boom in van values as early as the end of 2014 with a growing number of these vehicles starting to return to the used market helping to rebalance supply and demand. “We believe the market for used light commercial vehicles will remain buoyant for the next few months but values will begin to ease later in the year,” he said. CAP will be watching carefully to see whether the normally strong recovery in January is as pronounced as usual.